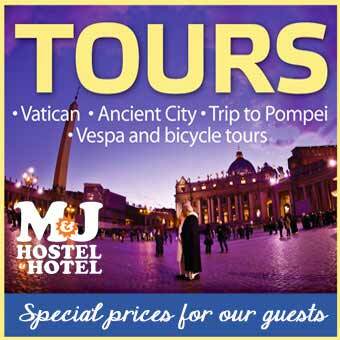 Why to make a tour in Rome? This magnificent city has more than four thousand years of reported history and was the centre of the Roman civilization for nearly three thousand years. There's a lot to know and to learn about it. The number of ruins and work of arts in the Capital is unbelievable and each one of them has a story to tell. But fortunately for us that are not just interested on taking pictures and leaving with empty minds the city has countless tours. It doesn't matter if you are interested in ancient ruins as the Colosseum, religious sites as the Vatican City or works of art such as Bernini's sculptures, there will be a tour that fits in your interests. Are you travelling on a budget? With your family, friends or alone? Making a tour is always a big deal. They will surely save your money, because they save time. You haven't come to Rome to spend half of your stay waiting in the queue, so just skip the line! With guided tours you will come to know everything about the subject matter on a flexible conversation, while guidebooks cannot answer any of your questions and have limited information. Paying for a tour can lead you to places you wouldn't know without it or even not be allowed to go inside, such as special sites, floors and rooms closed to common tourists. Not to say you can meet new people! Tours are usually made in groups of people speaking the same language, so everybody can understand the wonderful Rome in their mother-tongue. If you don't want to go out on the sun, you can even make a tour at night! Saving money and time, knowing a lot of interesting facts in your language and having special treatment, there's no better way to visit a city!